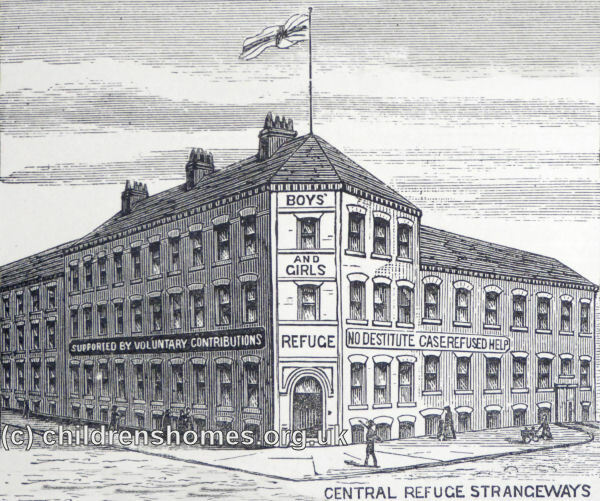 The charity known as the Manchester and Salford Boys' and Girls' Refuges (MSBGR) was founded 1870 by Leonard Kilbee Shaw and Richard Bramwell Taylor who were Sunday school teachers at St Ann's Church, Manchester. It aimed to help the city's homeless and destitute children without any requirement for payment or recommendation. Shaw and Taylor raised money from local businesses and opened their first home for boys at 16 Quay Street, Deansgate. Boys up to 16 years of age were given a bed for the night and found work as office messengers and bootblacks. In 1871, the home moved to what became known as the No. 1 Central Home on 14 Frances (now Francis) Street, Strangeways. The premises, formed from four three-storey houses and an adjoining yard, were gradually extended and by 1883 could accommodate up to 120 boys. The location was also the charity's headquarters until 1920 when the site was sold for £16,000. The No. 2 Home was opened in 1874 at 214 Lower Broughton Road, Manchester, and housed 17 working boys, aged 14 to 18. The No. 3 Home, at St John's Place, 107 Great Clowes Street, Lower Broughton, Manchester, was opened in 1876 with similar accommodation to the No. 2 Home. 1876 also saw the opening of the No. 4 Home at 8 Camp Street, Lower Broughton, Manchester. It housed up to 17 homeless boys, aged 14 to 18, mainly those engaged as 'hookers' in cloth warehouses. The work schemes supported by the MSBGR steadily grew to include the City Messenger Brigade, Boy Commissionaires, Newspaper and Shoeblack Brigades, and the Caxton Brigade of Boy Colporteurs. The Caxton Brigade sold cheap and 'pure' literature on the streets, with members paying a small subscription for use of a uniform and use of the Refuge's reading-room and lavatory. Some of the boys in the charity's care were placed on the training ship Indefatigable. In around 1875, a Home for Little Boys — those below the age of 10 — was established at 34-36 Great Ducie Street. In July, 1877, the home moved to new premises at Johnson Street, Queen's Road, Cheetham. The property, formerly two adjacent private houses, had a communal playground but was otherwise run as two separate family-style groups, each with sixteen boys under the care of a matron. The boys attended the St John's day School and St Luke's Sunday School. An Open-All-Night Shelter was established in 1878 at 14 Major Street, Manchester. It provided temporary accommodation for up to 20 children, aged from 5 to 15, who had been found without proper guardians or suffering under cruel treatment. 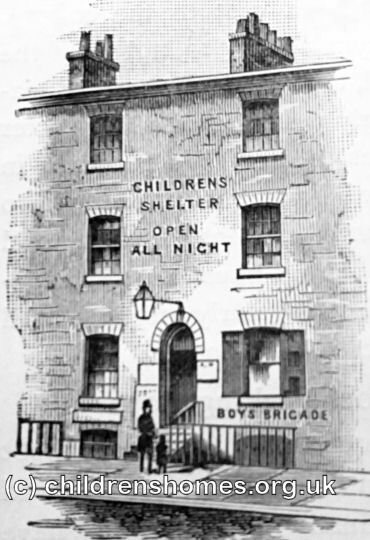 By the later 1890s, the Shelter was at 1 Chatham Street, off Piccadilly. On October 26th, 1881, Mr Henry Lee, MP, opened the charity's Boys' Rest, Lodging House and Coffee Room at Angel Meadow. The premises were the former Old Victory Coffee House at the junction of Angel Street and St Michael's Place. 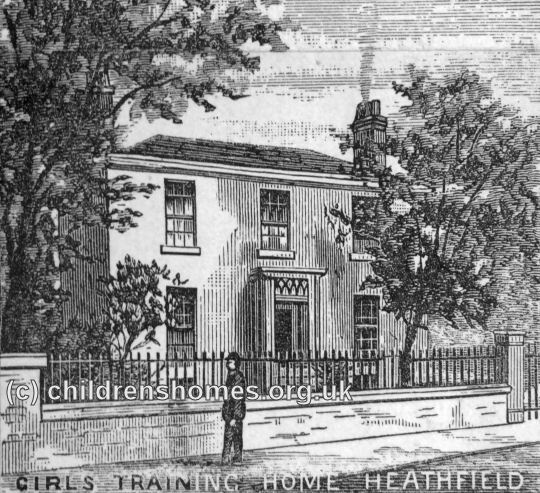 In 1878, an 'Industrial Branch' for 28 girls aged 9 to 16 was opened at 'Heathfield' on Broughton Lane, Manchester. It closed in 1894. On November 11th, 1882, the Bishop of Manchester formally opened new accommodation at numbers 4, 6, 8, 10 and 12 George Street, off Cheetham Hill — what was then described as 'a very healthy and pleasant district'. The first four houses, all for boys, were respectively named the 'Garnett', 'Crossley', 'Atkinson', 'Higgins' and 'Atkinson' homes after benefactors whose gifts had enabled their purchase. The fifth home, for girls, was funded by the girls of Lancashire and Cheshire and named the 'School Girls' home'. A sixth house, number 2, joined the others after its existing tenancy had expired and was named 'Langworthy'. The houses, which could each accommodate 16 children, all had playgrounds at the rear rear and small lawns at the front, planted with shrubs. The block was purchased and fitted up at a cost of about £5,000. Children admitted to the homes were required to be under 10 years of age and with both parents dead. Each of the homes was in the charge of a matron who was known to the children as 'mother'. An emigration home, known as Rosen Hallas, was opened in 1886 at the corner of George Street and Cheetham Hill. (A source in 1896 refers to it as being 'for boys and, occasionally, girls.') It gave the children training in practical skills prior to their being emigrated to Canada. An adjacent cottage was used as a convalescent home. The buildings were sold in 1922 to Higher Crumpsall Hebrew Congregation for £2,300. A boys' emigration home was established in 1891 on Great Ducie Street. 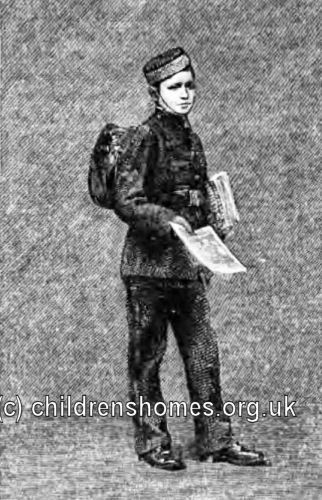 Children sent to Canada by the charity initially went to the Marchmont distributing home run be Miss Annie Macpherson. In 1891, the Boys' Refuge took over the work of the Gordon Boys' Home — a home for delinquent boys on Chester Road, Cornbrook, which had got into difficulties due to financial mismanagement. In 1883, the charity established its first premises outside Manchester, with the opening of a seaside convalescent home at Lytham, which moved to Old Colwyn in north Wales, in 1915. 1890, the Home for Crippled and Incurable Children was opened in a property known as Bethesda on Coke Street, Cheetham Hill. A map of the Refuges' homes in the George Street area is provided below. In 2013, only the former Bethesda premises were still standing. Manchester and Salford Refuges, George Street area, c.1909. In around 1891, a block of properties at 68 to 80 Great Ducie Street was taken over by the charity, just around the corner from the Central Refuge for Boys on Francis Street. The block housed the Boys' Refuge Depot (stores for the Refuge), the Boy's Emigration Home, a Brigade Boys' Home (for boys working in the Shoeblack and Messenger Brigades), and a new Working Boys' Home to replace the old homes at Lower Broughton. 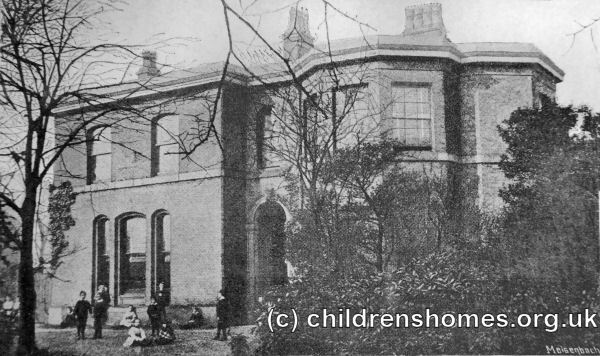 Another new home was opened in 1896 at Tetlow Grove House, Cheetham Hill, to house up to 20 motherless children, aged from 5 to 15 years. Motherless children were a group for whom relatively little provision existed. Many of the children at the home were subsequently able to return to their fathers, perhaps following a remarriage. By 1904, the service had been transferred to the Higgins Home on George Street. In 1920, the MSBGR began to create the Children's Garden Village on the Belmont House estate at Cheadle, where the facilities included a sanatorium and recreation hall. 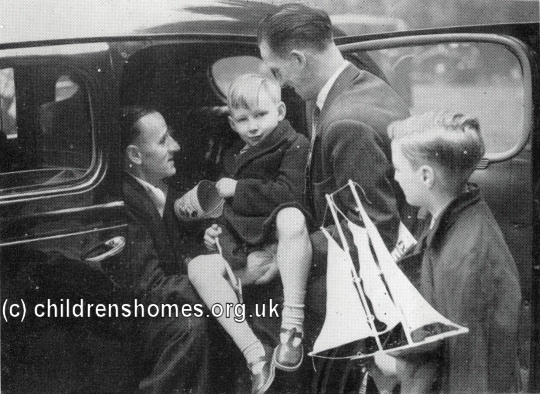 After the Second War, the general trend towards smaller, community-based family-group homes led the charity eventually to establish four of these, namely: Linden, 64 Station Road, Cheadle Hulme (1958); Lerryn, 66 Parsonage Road, Heaton Moor, Stockport (1960); Highlea, 1 Crossacres Road, Gatley, Stockport (1963); and Lockhart House, 51 Parsonage Road, Didsbury. These were partly funded by the sale of property from Manchester's Jubilee School, a struggling charity which the MSBGR took over in 1958. In the same year, the Bethesda Home moved out from Leicester Road to make use of growing amount of vacant space at the Belmont site. For many years, the taxi drivers in Manchester organised and annual outing for the Refuges' children. In 1960, the organisation changed its name to the Boys' and Girls' Welfare Society and in 1966 merged with the Invalid Children's Aid Association through which it acquired inherited the Taxal Edge Convalescent Home on Macclesfield Road, Whaley Bridge. Belmont House was disposed of in 1983 owing to financial difficulties. Renamed the Together Trust in 2005, the charity now offers care, support and special education to children, adults and families, including those with particular physical, behavioural or learning difficulties.